2014 / 2015 Events Online Now ! We now have all our Events Online! 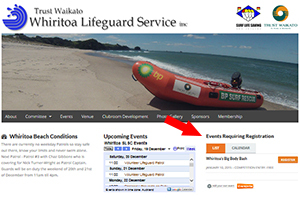 You can view events in a list format at a glance from the “Upcoming Events” widget on all pages. Click the “Events” link in the main menu to see events in a calendar format, then click the event itself for more detail. We have also setup an “Eventbrite” Widget. This allows us to list events which require a system of online registration and in the future will allow us to take online payments where required and will include ticketing. The idea is to try and cut down the amount of time our volunteers are spending administration tasks. All the Patrol times plus the summer program of events for the summer season have been uploaded with heap more come! 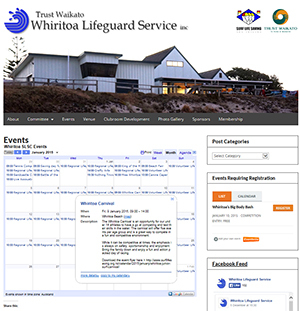 Don’t forget to subscribe to get the latest updates from Whiritoa Surf Lifesaving Club. ← First patrol of the season!